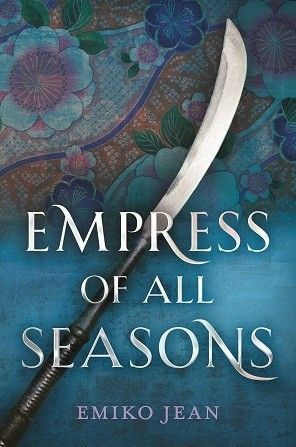 At the end of the day, do I think Empress of All Seasons worth reading? It depends. If you’re looking to read more Asian-inspired fantasy, this would be a good novel to add to your shelf. One of my favorite things about it was the handling of the supernatural elements, including the yōkai, who are an intrinsic part of this book’s world. Japanese culture is rich with legends and myth, and I loved how so much of it has been incorporated into the story. On the other hand, story-wise this is a very typical YA novel, and some may want to skip the mostly paint-by-numbers characters and tropey plot. Still, I experienced fun and excitement while reading this, even if it wasn’t always consistent, and I think it has potential. Every review I’ve read of this book is very similar to yours. It sounds like it really had potential, and hopefully the author’s next book will stray from the tropes and sameness of YA fantasy. I find a lot of YA these days have the same problem. Amazing world and really cool ideas in the world-building. But when it comes to story, it’s the same old same old. So easy and entertaining if not deeply original? Excellent review! It’s been a pretty bad year for me when it comes to YA, this slump has gone on far too long! I have a copy of this to pick up soon – well, this doesn’t fill me with excitement it’s always good to know what to expect and it sounds as if the second half does take off a little. I think you’ll find this one disappointing, especially since you just came from reading Shadow of the Fox, just like I did! I think part of my problem was I kept comparing the two! Yes the whole contest thing is getting old! It’s really all just a variation on the Hunger Games. Yes, complicated, and seriously lacking in YA! Exactly! I can usually deal with most tropes in YA, but I just think the author handled them awkwardly. The romance, especially. I’m intrigued by this despite the fact that it seems to have several of the most common YA tropes. I so wish the authors would try to stay away from those!! It was the insta-love that bothered me the most. I wish that trope would just go away already. Seriously! What’s wrong with a little platonic friendship that blossoms into a relationship?? I’m sorry to hear it fell victim to familiar YA tropes. I despise instalust so I don’t know if I will be picking this up anytime soon. I also just finished reading Shadow of the Fox by Julie Kagawa before this, which was also a Japanese-inspired fantasy but was much better. So the comparisons were inevitable. I also had that on my TBR. Happy to hear it’s just as interesting as it sounds.